Project Engineering and System Design (PSD) encompass activities for project management from concept to commissioning of Greenfield/ Brownfield Cement plants. Project Formulation and Engineering Services. Project Management and Field Services. Corporate Debt Restructuring (CDR) Studies. Assessment of plant capacity and bottle neck study for capacity enhancement. 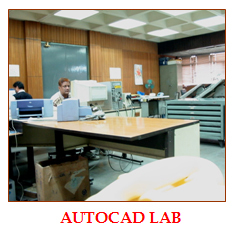 Equipped with latest software, and measuring/ testing equipment. Tailor made proposals according to client requirement. Project Monitoring and Control for setting up a 600 tpd cement plant in Republic of Congo for of Republic of Congo. Techno Economic Feasibility Report (TEFR) for setting up a 1 MTPA cement plant for EAPCC, Kenya, Africa. Techno Economic Feasibility Report for setting up two 0.6 MTPA cement grinding units at Kisumu, Kenya and Arusha, Tanzania for EAPCC, Kenya, Africa. Technical Appraisal and Recommendations for setting up a 600 tpd cement plant in Republic of Congo for Ministry of External Affairs, GoI. Comprehensive Techno-Economic Review for Ali-Sabieh cement plant in Djibouti, Africa for Ministry of External Affairs, Govt. of India. Pre-feasibility and Techno Economic Feasibility Report for setting up a Cement and Allied Materials handling unit for Malabar Cements Ltd at Cochin port. Preparation of DPR for 5000 TPD new Greenfield clinkerisation unit, and up-gradation of capacity of existing 3 kilns to 5000 TPD each at Gujarat for M/s Ambuja Cement, India. Plant Performance Assessment carried out for M/s Meghalaya Cements Ltd, Meghalaya. Preparation of benchmarking reports for cement plants and cement grinding units of various capacitites for IPICOL, Odisha. Assessment of Air Pollution Control Equipment for Malabar Cements Ltd at Walayar plant and Cherthala grinding unit. Setting up a 1.0 MTPA cement plant; Tender document preparation and freezing of capacity of plant equipment and machinery for M/s Devarshi Cement Ltd., India. More than 30 TEFRs/ 5 DPRs have been prepared leading to realization of cement projects within the country and abroad as well. Techno-Economic Viability Studies for plant operations carried out for 3 cement plants, leading to normal and stable operation of the plants. Reports also made for productivity improvement studies for various cement plants. Reports made on capacity enhancement in various sections through system design improvement for various cement plants. Contribution in Development of state of the art techniques in Cement Manufacturing. System design of cement transportation from cement mills to cement silos to reduce energy consumption, by way of optimization of conveying distance, change over to mechanical system and a separate packing machine for some of the silos has been studied. This has helped various cement plants reduce their energy consumption considerably.